You’ve spent years collecting tons of amazing business reviews. What do you do with them now? Putting your reviews on your site boosts your SEO and builds credibility with potential customers who land there. There are many ways you can go about displaying your business reviews, but here we’ve chosen 7 of our favorite so far. 1. Highlight one per week in the header. Your business reviews can be displayed anywhere you’re able to use a shortcode or a widget on your website. In most cases, that includes the header or hero image. 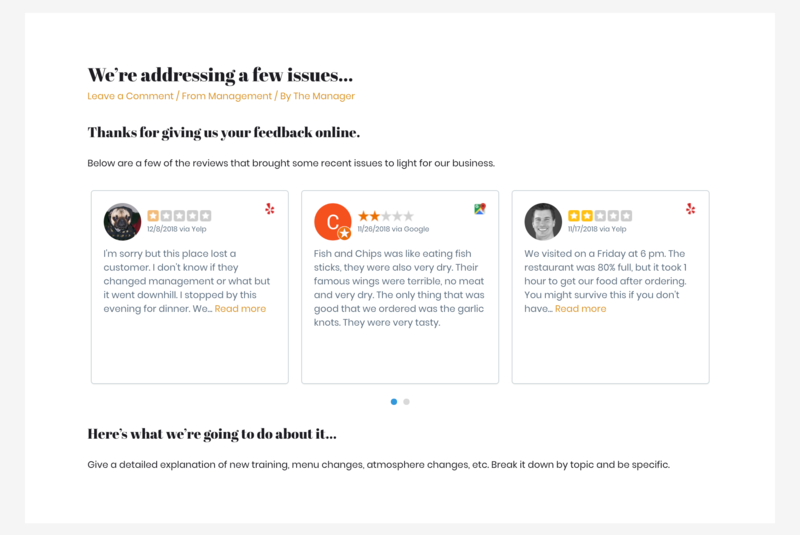 Think about the impact of seeing a recent customer review or recommendation first thing, beautifully displayed on the homepage of your website, like this. To put a single business review in your header, simply grab a shortcode from a single review in your single reviews list. Go to Dashboard > Reviews > Single Reviews > “Copy Shortcode”. If you want more control over the color, review contents, and other components. You can create a tagged review collection and tag only the single review you want to use. This enables you to choose light, dark, transparent, hide the reviewer name or photo, and more. Learn more about creating a tagged collection in our Tagged Collections Documentation. 2. List a few in the sidebar on the About Us page. Another great way to display your business reviews is in a sidebar on the About Us Page. Use the WP Business Reviews widget to add a collection and create a page similar to the one below. For more information on using the WP Business Reviews Widget, take a look at our Widget Documentation. 3. Embed a carousel with the 9 best on your homepage. One of our favorite options is to embed a business reviews carousel on the home page. You can do this using a collection shortcode. 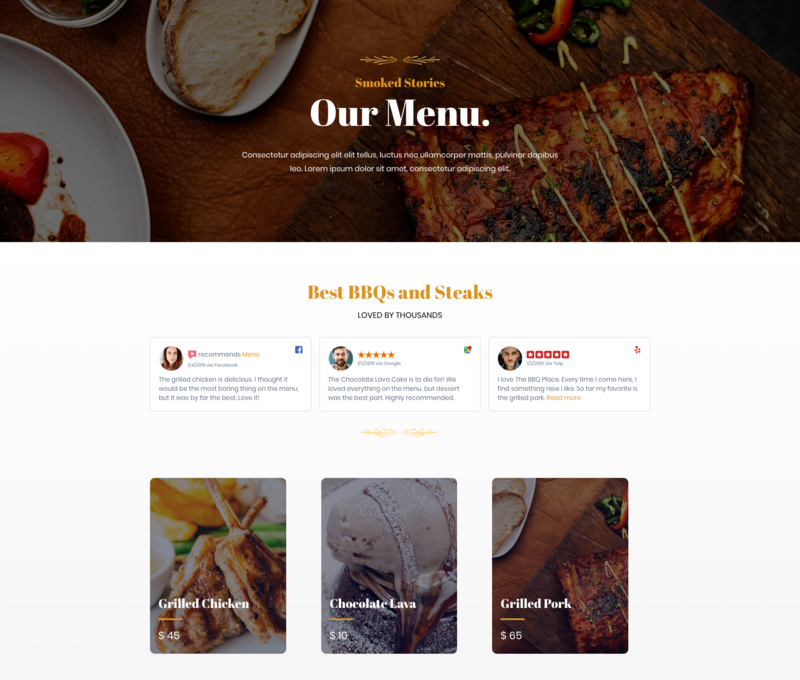 First, create a carousel style and style it however you want it to look. We chose dark mode for our example. 4. Address bad business reviews in a Blog Post. Generally, bad reviews make every business owner cringe, but a lot of experts agree that you need bad reviews to maintain your legitimacy. Too many 5-star business reviews looks suspicious. Aside from that fact, your bad reviews can actually help you identify key issues within your business. Once you’ve found a solution, write about it online and let your customers, potential customers, and the general public know that you’re doing something about it. Create a tag for the reviews that led to your decisions for change and generate a collection with it. Choose your display style. Then, start a blog post or page and tell the world how you addressed the issues in these specific reviews. Here’s some additional advice if you need more information on responding to and handling negative reviews. We discover new ways to use WPBR every day. We’ll share those with you and more in our newsletter. 5. Add them to your menu, services page, or shop. Reviews are powerful tools to convince people to use your business over a competitor’s. So why not put them in your online store, on your menu, or on your services page? In the image above, each of the three reviews mentions an item below it on the page. This creates a powerful connection between the idea and reality of your food, product, or service. Let your customers speak for you directly on the page where you sell or describe your products or services. 6. Put your best business reviews on their own page in a gallery. 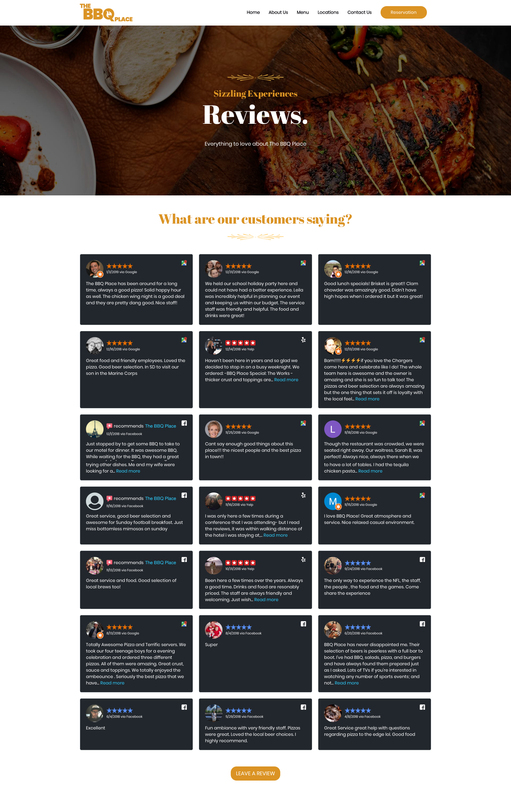 We also still love the idea of displaying all your 5-star reviews on a single page. It speaks powerfully for your business. For this kind of collection, simply tag all your reviews with one tag. We used “ALL.” Then, filter out all the reviews below 5 stars. You can also choose to include or not include the Facebook Recommendations, which have a different format. 7. Organize reviews by location. You can also create a page similar to your review wall, but filter your business reviews out by location. Or, if you already have a page with your business locations, you can add reviews from each location to their section. Create your tagged collections by location, style them however looks best on your locations page, then insert the shortcode. We’d love to see what you come up with. Think outside the box and send us what you create! If you want to replicate what we did, you will need a few things to get started. First, you need WP Business Reviews to display the reviews on your site. We also used Astra Theme and an Astra Gutenberg Starter Site Template to build our examples. The template you see above is the BBQ Restaurant template. The post 7 Ways to Display Business Reviews on Your Website appeared first on WP Business Reviews.